Roman Catholic dioceses and religious orders saw a rise in molestation claims against clergy last year, according to a new report from U.S. bishops. Nearly all the 803 cases involved adults who said they had been abused as children decades ago. "We think it's largely because bishops continue to act recklessly and callously and deceitfully and when victims see church officials behaving irresponsibly, it prods them to come forward and report their own abuse in the hopes of sparing other children," David Clohessy, head of the Chicago-based Survivors Network of Those Abused By Priests, told CBS News. Church leaders paid less in settlements, attorney fees and other abuse-related costs. Still, the amount reached just over $436 million, bringing the total payouts for abuse to more than $2.6 billion since 1950, according to studies commissioned by the prelates. The statistics are part of an annual review of child safety in American dioceses and religious orders that is mandated by the U.S. Conference of Catholic Bishops. The report is set to be released Friday. The Associated Press obtained a copy in advance. "Lots of people are so ashamed of having being victimized that they keep silent about it and the fact that other people have come forward and said 'Yes, me too' encourages other people to speak up," Michael Merz, chair of the National Review Board of the U.S. Conference of Catholic Bishops, told CBS News. As part of the review, auditors found that all but one of the dioceses they evaluated had fully implemented the bishops' child protection policies by the end of the year. The safeguards include background checks for employees and volunteers, safe environment training for children and a discipline plan for offenders that removes them from any public church work. Dioceses increased their spending on safety programs to $23 million in 2008. The noncompliant diocese was Tulsa, Okla., which had not completed training for children. Despite the high marks for dioceses, auditors did find some need improvement. Investigators said they could not easily find contact information for the lay review boards in some regions. The panels are supposed to help bishops respond to abuse claims. Investigators also said many church administrators need to increase contact with police and other outside authorities when evaluating cases. "Unfortunately, many dioceses are conducting the investigations themselves without also making a report to civil authorities," auditors said. Advocates for victims have repeatedly urged them to make their first report to police, not the church. 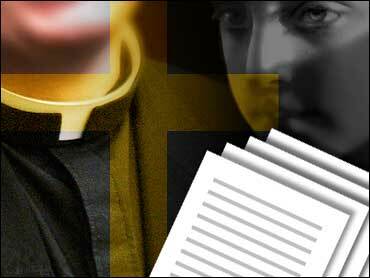 The Diocese of Lincoln, Neb., as it has in previous years, refused to participate in the audit. Bishop Fabian Bruskewitz has said the evaluation wouldn't "place into context" the large number of priests who were not abusive. Bishop Robert Vass of the Diocese of Baker, Ore., also refused, saying the diocese will not conduct safe environment training for children. Separately, five eparchies, or regional districts for parishes that follow the Eastern rite, also refused the review. The reports from the bishops are part of the reforms they enacted in 2002, at the height of the scandal that began with the case of one predatory priest in the Archdiocese of Boston and spread throughout the U.S. and beyond. Thousands of clergy have been accused since 1950. "One-hundred percent success is difficult to achieve and people still have questions about what we're doing but hopefully the impression, the correct impression, is that the bishops are trying very hard to get this right," Merz told CBS News. The number of abuse claims in 2008 increased by 16 percent over 2007, when 691 claims were made. Similar to past years, more than 80 percent of the clergy accused in 2008 are dead, missing or already out of public ministry or the priesthood altogether. However, 40 percent of those accused last year had never been named in previous abuse cases. Following a pattern that researchers discovered in previous studies, most of the people who came forward last year were men and more than half said they were between the ages of 10 and 14 when they were molested. Only 30 percent of the new claims came through attorneys. Auditors conducted onsite evaluations in one-third of the dioceses, while the rest compiled data that was evaluated offsite. The bishops are rotating which dioceses receive an onsite review, so that each diocese is visited every three years.